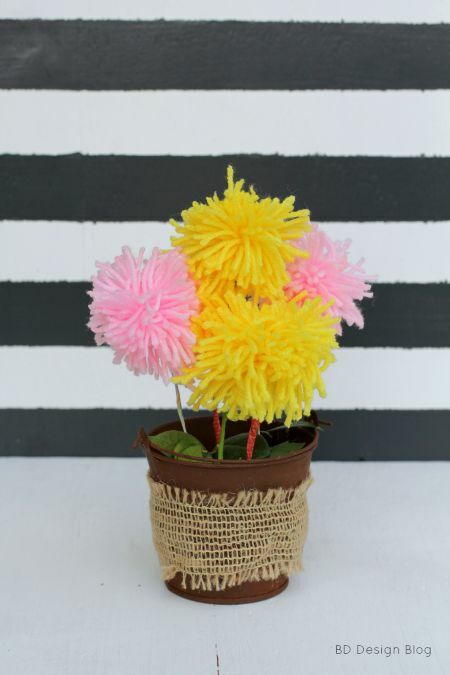 Wrap the yarn around your hand about 100 times to get the big and fluffy pom pom. 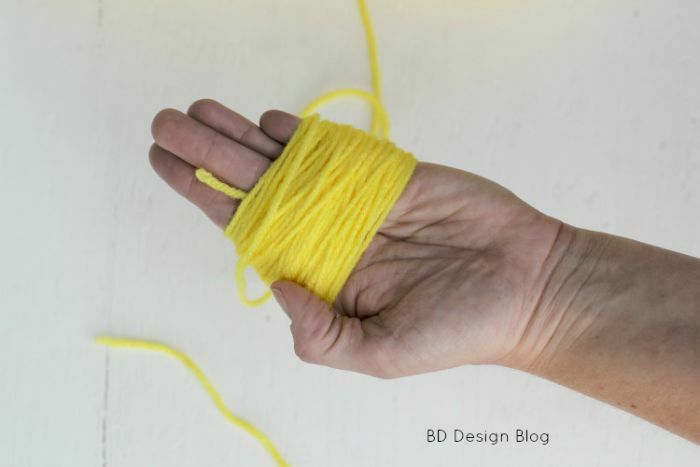 Once you have removed the wrapped yarn from your hand, secure it with a 6 inch string of the same color yarn and tie a knot. 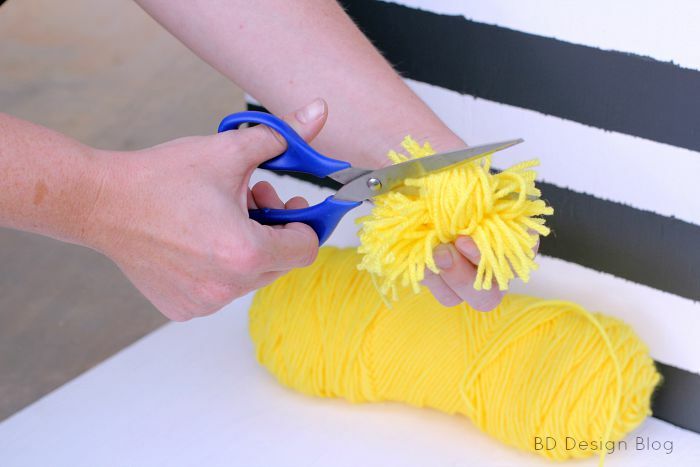 Then take your scissors and cut all the loops of yarn. Once all the strings have been cut I take my scissors and cut any strings of yarn that are longer. You know, give it a good trim! 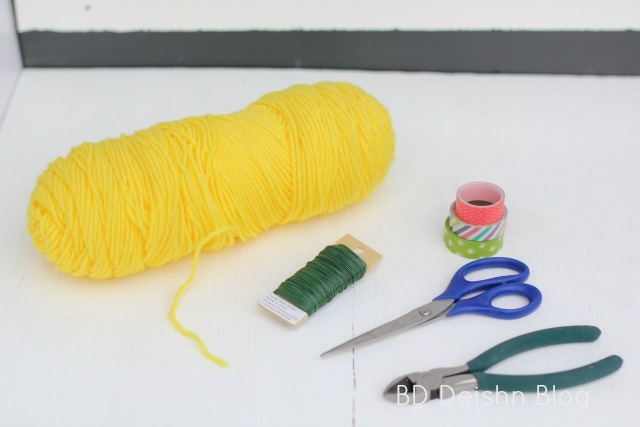 Take your floral wire and cut it at the desired height you want and then wrap the wire with your washi tape! And that’s it! Super easy and fun to make. You made it look so easy! 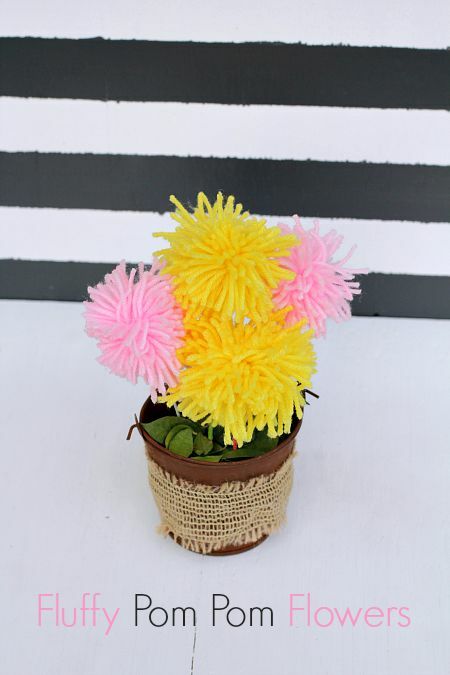 I love the pop of color these would add to a room!